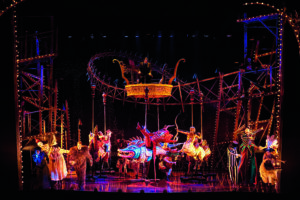 It is not clear whether the sentiments expressed in Glenn Slater’s lyrics for the title song of Love Never Dies, currently at the Hollywood Pantages Theatre, are true or not. What is true is that the character first put to print by Gaston Leroux in 1909 has never really died since composer Andrew Lloyd Webber first musicalized him in Phantom of the Opera on the London stage in 1986 where it is still running. 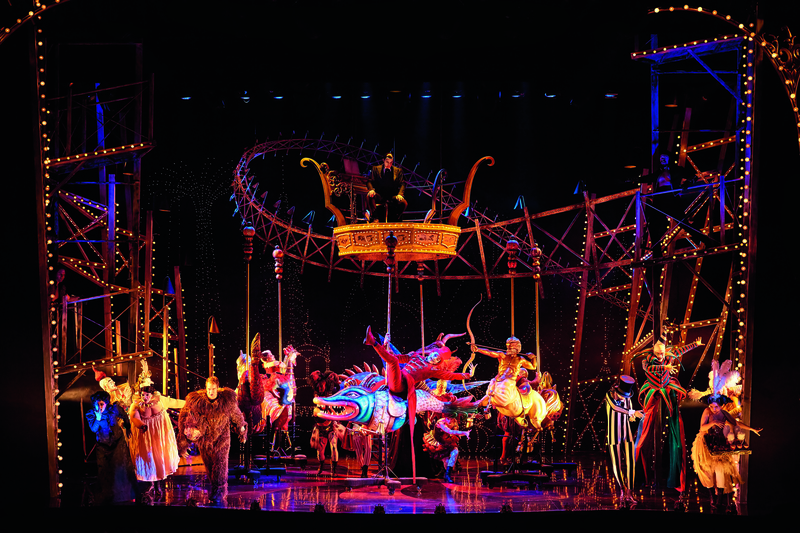 The Broadway production recently celebrated its 30th anniversary in New York. Sequels are rare in musical theatre but given the longevity and popularity of the original, Sir Webber was tempted to give his Phantom more to sing. 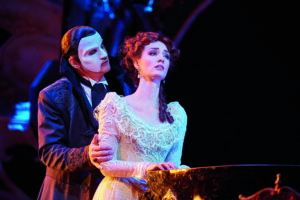 In 2010 Love Never Dies premiered in London where it received mixed reviews and only managed a 17-month run. A Broadway production was announced but eventually cancelled. An Australian production premiered in 2011 and was received more favorably and a remounting of that production is currently receiving a National Tour with stops at the Pantages and Segerstrom Center. The sequel is based on Frederick Forsyth’s novel The Phantom of Manhattan (adapted by Ben Elton) and sets the action mostly in New York’s Coney Island ten years after we last saw the Phantom (Gardar Thor Cortes), his muse Christine (Meghan Picerno) and her childhood sweetheart and soon to be husband Count Raoul (Sean Thompson). 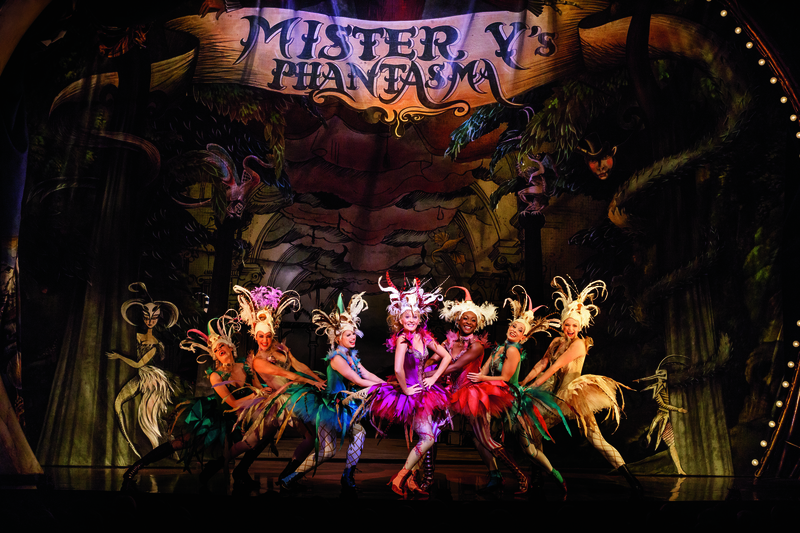 The Phantom is the mysterious owner of Coney’s Phantasma, which is sort of a musical freak show, aided by the imperious Madame Giry (Karen Mason) and her star struck daughter Meg (Mary Michael Patterson). The Phantom outbids impresario Oscar Hammerstein for Christine’s American debut and the cash-strapped gambler Raoul eagerly accepts the offer. Christine is soon swooning as the Phantom once again enters the privacy of her apartment and sings sweet nothings in her ear while encouraging her to sing his latest song. The Phantom is surprised to find Christine with a nine year old son, Gustave (Casey Lyons and Jake Heston Miller alternating). It is soon apparent that Christine and the Man in the Mask did more than sing together during their one night beneath the Paris Opera House. 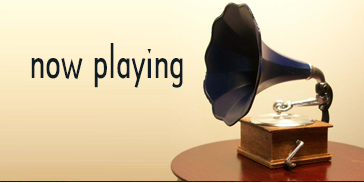 Gustave is their love child, inheritor of her voice and his musical genius. Elton’s book makes the Phantom a much more compassionate and loving character here; at the end he could even be considered for Father of the Year. The villains here, and they aren’t really the mustache twirling types, are Raoul, Meg and Madame Giry to varying degrees. The plot is a convoluted hot mess, the score has one or two memorable songs, but the show really moves thanks to Simon Phillips’s spirited direction. Gabriela Tylesova’s sets and costumes are bright and gaudy and fit the tacky side show milieu of the action. Nick Schlieper’s lighting is colorful. Webber’s score is more operatic than for the original Phantom and Cortes and Picerno are gifted with soaring operatic voices that really tickle the ears. If you are one of the millions who worship at the box office of the original Phantom of the Opera, you will enjoy this homage. If you didn’t like the original, you will not like the sequel.